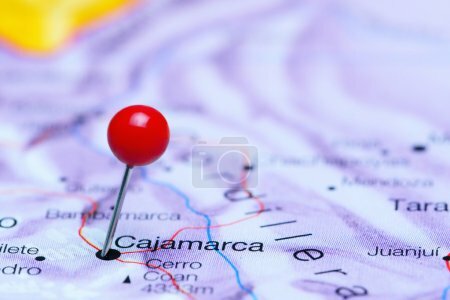 Photo of pinned Cajamarca on a map of South America. May be used as illustration for traveling theme. descripción: Photo of pinned Cajamarca on a map of South America. May be used as illustration for traveling theme. Cómo cambiar S/ 211.40 en billetes y monedas. Cuánto ganarías ahorrando S/ 300,824 a plazo fijo. Descubre el significado de la sigla MNZ.